Travon A. Patton has been involved in the field of videography and filmworks for over 5 years but has been actively involved in producing acting and drama productions from the age of 16 as President of the Young Actors Guild (YAG). He is the founder of the 12:01 Studios Media Group and is also presently the Lead Producer at Fam Entertainment, headed by William ‘Mark’ Cartwright. Patton is known for his feature documentary, May 3rd (2008) that premiered at the Bahamas International Film Festival (BIFF), Redial Sunshine (2010), a short film that premiered at BIFF and Break (2009), a short film that premiered at The National Centre for the Performing Arts, aimed at bringing awareness to The Bahamian community regarding youth, violence and poor decisions. In addition, he is also responsible for producing over 60+ hours of programming ranging from music videos such as Marlin Award Nominated, Pray for You by Bahamian Gospel Sensation, Najie Dun and, I Choose You by Jamaica’s Kristine Alicia, Television shows such as Wordup Tv , Concerts such as the Marlin Award Nominated Najie Dun Album Release and Famfest, popular internet sensations such as “T.A.P’s VLOGS”, public service ads, documentaries and short films. In addition, Patton is also the Co-Producer, Director of Photography and Editor for the Bahamas’ first televised soap opera called Gippie’s Kingdom that premiere in the 2012. Beyond creating films that impact the community, Patton is passionate about the creation of a bright and successful film and television industry in the Bahamas. 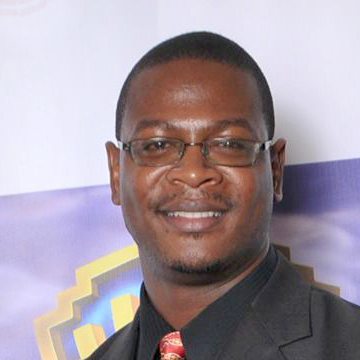 He has been at the helm of various targeted initiatives within churches, schools and tertiary institutions to promote unique ways of troubleshooting filmmaking in the Bahamas. In fact, Patton steered a group of biology students at the C.R Walker Secondary school to a surprising 1st place prize at the Bahamas International Film Festival’s Green Reel Competition. Patton truly believes that there is a heavy responsibility among those in the media. He believes that the media must tell our stories and preserve our histories. Secondly, he believes that the media should reflect both our achievements and our flaws and thirdly he believes that the media should illuminate the pathway for a bright and prosperous future.